Annual percentage yield (APY) is a helpful tool for evaluating how much you earn on your money. Compared to a simple interest rate quote, APY gives you a better idea of your true potential earnings. APY is a number that tells you how much you’ll earn with compound interest over the course of one year. It accounts for interest you earn on your original deposit, as well as interest you earn on top of other interest earnings. A higher APY is better when you’re evaluating accounts for your savings. When you’re the one paying interest, a lower APY is best. When you deposit funds into a savings account, money market, or certificate of deposit (CD), you earn interest. APY can show you exactly how much interest you’ll earn. With this information, you can decide which bank is best, and whether or not you want to lock away your money in CDs for a higher rate. APY is useful because it takes compounding into account—a simple “interest rate” does not. Compounding happens when you earn interest on the interest that you previously earned, which means you’re earning more than the quoted interest rate. Example: You deposit $1,000 in a savings account that pays a 5 percent annual interest rate. At the end of the year, you’ll have $1,050 (assuming your bank pays interest only once per year). However, your bank might calculate and pay interest monthly. In that case, you’d end the year with $1,051.16, and you would have earned an APY of more than 5 percent. The difference may seem small, but over many years (or with bigger deposits), the difference is significant. Single Payment Per Year: If your bank calculates and pays interest only once at the end of the year, the bank would add $50 to your account. Monthly Compounding: If interest is calculated and paid monthly, you get small additions every month. In the table below, notice how the earnings increase slightly every month. APY accounts for those more frequent interest calculations, so it’s more accurate than an interest “rate.” Fortunately, you’ll almost always see the APY quoted from banks—so you don’t have to do calculations yourself. But you can calculate APY yourself, and we’ll cover that below. Annual percentage rate (APR) is similar to APY, but it does not take compounding into account. APY is more accurate than APR in some situations because it tells you how much a loan costs as interest costs compound. But when you borrow money, you typically only see the APR. In reality, you might pay APY—which is almost always higher with certain types of loans. Credit card loans are an excellent example of the importance of understanding APR vs. APY. If you carry a balance, you pay an APY that is higher than the quoted APR. Why? Interest charges are added to your balance each month, and in the following month, you’ll have to pay interest on top of that interest. It is similar to earning interest on top of interest you’ve earned in a savings account. The difference might not be significant, but there is a difference. The larger your loan and the longer you borrow, the bigger that difference becomes. With a fixed rate mortgage, APR is more accurate because you typically don’t add interest charges and increase your loan balance. 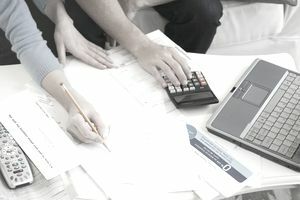 What’s more, APR accounts for closing costs, which cannot be ignored. However, some fixed-rate loans actually grow (if you don’t pay interest costs as they accrue). For more information, learn about different types of APR. Calculating an investment’s APY can be challenging. But spreadsheets like Excel or Google Sheets make it easier. Use this spreadsheet (which already has the examples above filled in) or follow the process below. Enter the interest rate in cell A1 (interest rates need to go in decimal format). Enter the compounding frequency in cell B1 (use 12 for monthly, one for annually, etc.). For example, if the stated annual rate is 5 percent, type “.05” in cell A1. Then, for monthly compounding, enter “12” in cell B1. Note that for daily compounding you can use 365 or 360 depending on your bank or lender. In the example above, you’ll find that the APY is 5.116 percent. In other words, a 5 percent interest rate with monthly compounding results in an APY of 5.116 percent. Try changing the compounding frequency, and you’ll get an idea of how the APY changes. For example, you might show quarterly compounding (four times per year) or the unfortunate one payment per year—which just results in a 5 percent APY. APY = (1 + r/n )n – 1 where r is the stated annual interest rate and n is the number of compounding periods per year. Finance people will recognize this as the Effective Annual Rate (EAR) calculation. APY is higher with more frequent compounding periods. If you're saving money in a bank account, find out how often the money compounds. Daily or quarterly is usually better than annual compounding—but check the APY for each option just to be sure. You can also pump up your own “personal APY.” Look at all of your assets as part of the larger picture. In other words, don’t think of one CD investment as separate from your checking account—they all work together toward your goals, and they should be positioned accordingly. Think of yourself as the Chief Financial Officer of You, Inc.
To pump up your personal APY, find ways to make sure that your money is compounding as frequently as possible. If two CDs pay the same interest rate, pick the one that pays out interest most often and has the highest APY. Your interest payments will automatically be reinvested—the more frequently, the better—and you'll start earning more interest on those interest payments.